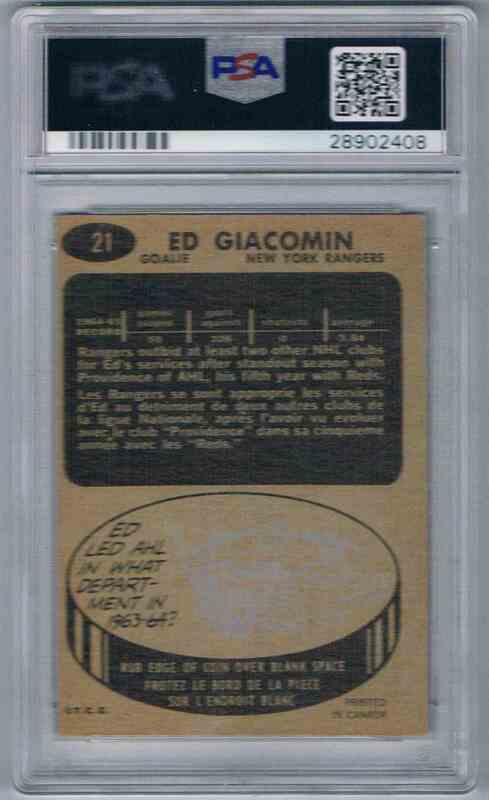 This is a rookie Hockey trading card of Ed Giacomin, New York Rangers. 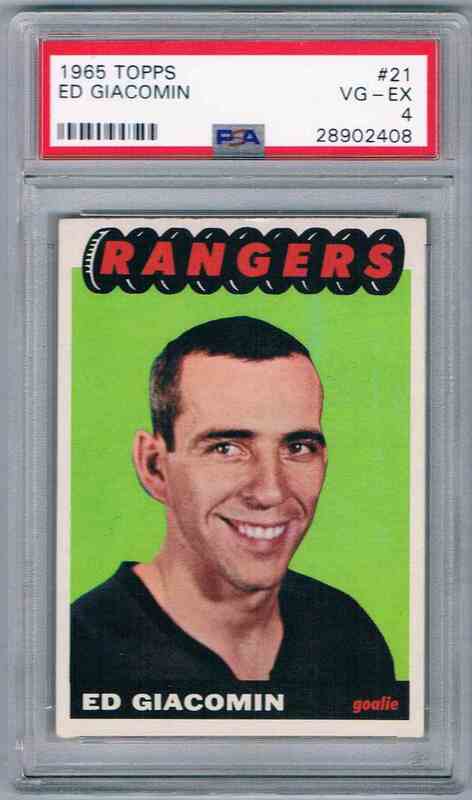 It comes from the 1965-66 Topps Bad Grade More Like 6 set, card number 21. It is graded 4.0 by PSA. It is for sale at a price of $ 150.00.